Arts education is an essential part of school curriculum and life. In a purely education sense, arts are important to education reform and gives meaning to cognitive, psychomotor, kinesthetic, and affective domains of learning. The arts specialist establishes a hallmark of quality learning that will continue to enhance the academic, social, cultural, and behavioral development of the student throughout adult life. There are five units to assist arts educators in implementing the New Jersey Core Curriculum Content Standard for the visual and performing arts, including dance, music, theatre, and visual art. The arts, engages all explicit learning in analyzing , reasoning, problem solving, higher-order thinking, articulating, and synthesizing within a continuum of flexibility, persistence, collaboration, and cooperation to accomplish a common goal, valued by reformers in both the education and business communities. Through the arts, lives and communities are changed; diversity is accepted and encouraged as students learn to study and play together so that as adults, they will garner the same respect in work and life. Music, dance, theatre, visual arts, and media arts, allow students to become part of the human heritage of creating, producing, and responding. Education can no longer be defined without the arts. Participation demonstrates infinite knowledge building strategies that are systemic and unique to the learner and a necessary part of 21st century skills in a changing global society. 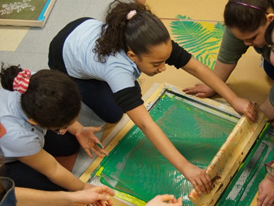 The comprehensive art and music curriculum offered in all grades in Paterson Public Schools enriches the lives of the students and their families through exposure to the arts during their educational journey. Students interested in honing these skills are offered the ability to apply to both a specialized fine and performing arts elementary school and high school. Additional opportunities, such as El Sistema and weekly visits from Sharon Miller’s Academy for Performing Arts are underway this year. Rosa L. Parks School of Fine & Performing Arts believes in the importance of the arts and academics for all humanity. We encourage self-motivation and creativity in students and staff by advocating expression of beliefs and opinions in a democracy. We promote community responsibility by supporting a respect and appreciation for diversity in a multi-cultural America, and urge staff and students to be lifelong learners in our increasingly global society. The vision of Rosa Parks High School is to promote the intellectual, social and personal growth of every student to his/her fullest potential using the fine and performing arts as a catalyst for self-motivation, creativity and achievement in the academics. Through an environment that is nurturing, personalized, thematic, yet academically rigorous, we maintain a culture that supports optimal student development and learning. 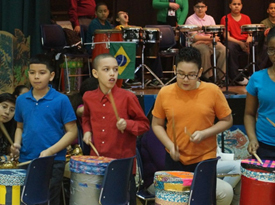 Throughout its nearly 30 year history, the Rosa L. Parks School of Fine & Performing Arts (RPHS), a Paterson Public School, has garnered statewide and national accolades for outstanding achievement in both the arts and academics. We serve a predominantly low-income, culturally and ethnically diverse school population of approximately 300 students, grades 9-12, who attend RPHS through a rigorous audition process. The school’s mission is to promote the intellectual, social and personal growth of every student to his/her fullest potential using the arts as a catalyst for self-motivation, creativity and achievement. RPHS offers a traditional academic learning experience in an environment where creativity and the arts serve as the bridge to all disciplines and a window to the human condition. 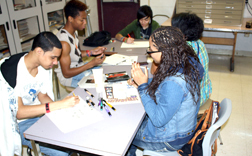 In addition to a competitive college preparatory curriculum, RPHS furthers the special talents of its students by providing comprehensive training in one of the following disciplines: commercial art, fine art, dance, drama, vocal music, instrumental music, piano, and communication arts. 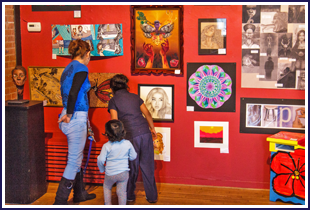 For three decades, the Rosa L. Parks School of Fine and Performing Arts (RPHS) students share a passion for fine arts, performing arts and a reputation for outstanding academic achievement. In fact, based on the number of RPHS students who successfully graduate and go on to college, US News and World Report named RPHS as one of the nation’s best high schools! Graduates have attended prestigious institutions including Berklee College of Music, Howard University, Princeton University, University of the Arts-Philadelphia, and many more. Over the past 2 years, RPHS has received the PCCHC Grant to conduct the Careers in the Arts and Beyond Series, which allows for extensive coaching for our ARTS department beyond the school day. • Guest appearances by Joe Budden, Maino, DJ Poun, and Just Blaze! Rosa L. Parks School of Fine & Performing Arts believes in the importance of the arts and academics for all humanity. We encourage self-motivation and creativity in students and staff by advocating expression of beliefs and opinions in a democracy. We promote community responsibility by supporting a respect and appreciation for diversity in a multicultural America, and urge staff and students to be lifelong learners in our increasingly global society. • Extra Curricular Activities include Interact Club, Debate Society, Chess Club, Anime Club, Tri-M-Music Honor Society, End Racism and Sexism Everywhere (ERASE), Thespian Society, Sisters are Serious (SAS), Dance Society, Future Teachers Club and the National Honor Society. • Community Outreach Programs have included PS # 26, St. Joseph’s Hospital, North Jersey Development Center, Federation Senior Citizen Apartments, and William Paterson University. • RPHS has established partnerships with: The Greater Newark Youth Orchestra, New Jersey Performing Arts Center, Y.M.C.A. of Paterson, Westminster Choir College, Papermill Playhouse, Vissi Dance Troupe, VFW Post #7165, Ladies Auxiliary of Clifton, N.J. Federation Arms Apartments, Riverside Fire Station-Paterson, Juvenile Division-Police Department, Bergen County Veterans’ Hospital, Passaic County Freeholders, Dr. Frank Napier, Jr. Scholarship Committee, Hillcrest Neighborhood Association, Epitome of Soul, Storytellers, Inc., United Way, PCCHC, PCCC Dual Enrollment Program, Garden State Opera, Just for Kids, Paterson Music Project. To develop and deliver the highest standard of performing arts education while embracing a balance between the students’ creative potential and their academic strengths. We will inspire students to realize their full potential through the arts and academics, while embracing 21st century learning skills to become well-rounded, productive members of the community. 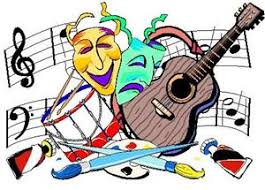 The School 24 Fine and Performing Arts Program is currently open to students in fourth, fifth and sixth grades and will continue to grow through the middle school grades in the upcoming school years. Students enrolled will receive the general core curriculum in the areas of Language Arts, Math, Science, and Social Studies. In addition to these courses, our Academy students will be enrolled in Theater, Art, Dance, and Music Appreciation classes. They will also have the opportunity to choose between dance, musical theater, pre-instrumental, and choir lessons. It is expected that upon entering Middle School, the students will choose the area(s) of the arts they would like to pursue. 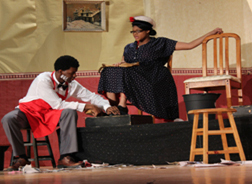 As a way to provide students with the opportunity to refine their skills, students will be expected to participate in class and school-wide productions, both during the school day and after school. Students will have the opportunity to showcase the work and talents they have developed in their classes, under the guidance of our teachers and instructors. All students interested in seeking admission to School 24 Fine & Performing Arts are offered the opportunity to apply for acceptance. Further details related to the application process are available on the school website. Our Academy students will be exposed to a variety of experiences in both the performing arts and fine arts genres. By attending a diverse selection of events and field trips, students will be encouraged to think critically about the world around them and create connections that will enhance their abilities and skills in the classroom and in life. This page contains a collection of free Art resources for use by middle and high school teachers. The Art Project features interior tours of seventeen world famous art museums. Simply select a museum from the list on the homepage and you can virtually tour it using the same interface used in Google Maps. The website also offers an option to create your own art gallery while visiting each museum. You can see works of art in greater detail, add to your collection, and open background information about each piece with just a few clicks of the mouse. This website is designed and maintained by the Indianapolis Museum of Art. Teachers and students visiting Art Babble will find videos featuring all types of art narrated and hosted by museum experts. This resource is an open source online community connecting art teachers around the globe. Once a teacher creates a free account, users can participate in forums, groups, comment on blogs, and share photos and videos. Art Education 2.0 is great for teachers wanting to share and collaborate on projects designed for students. Teacher Vision is a great resource for teachers of all subjects. For tools specific to art instruction, the website provides an extensive list of free lesson plans, activities, quizzes, and references, perfect for art teachers at the elementary, middle, or high school level. Teachers can watch podcasts, study artists, visit art schools, see architecture, visit museums and galleries, read art blogs, buy art supplies, participate in art related groups, and get lessons and activities. A plethora of internet resources for fine arts related to students of all grade levels.